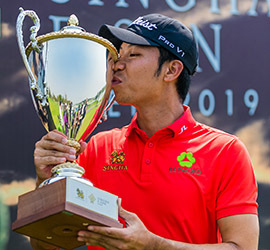 Danthai Boonma stormed to a five-shot victory at the ATGT’s Singha E-San Open 2019 at Singha Park Khon Kaen Golf Club on Sunday. 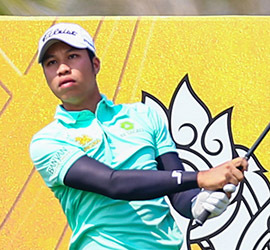 Danthai Boonma took a two-shot lead heading into the final round of the ATGT’s Singha E-San Open 2019 at Singha Park Khon Kaen Golf Club on Saturday. 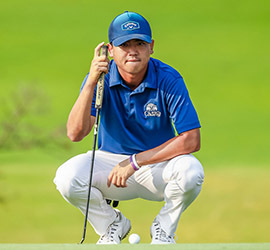 Pavit Tangkamolprasert and Danthai Boonma shared the lead at the halfway mark of the ATGT’s Singha E-San Open 2019 at Singha Park Khon Kaen Golf Club on Friday. 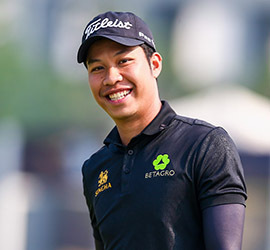 Unheralded Poom Pattaropong fired eight birdies in a flawless round to take a two-shot lead at the ATGT’s Singha E-San Open on Thursday.